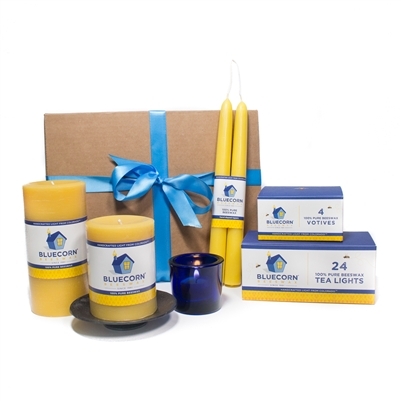 Give the gift of clean-burning, natural light and spread the beeswax love. Give clean-burning beeswax with this assortment of tapers, pillars and tea lights! There will be some serious "wow" factor with this abundant assortment of raw beeswax candles. Our Raw Beeswax Gift Sets are perfect for any occasion, from Christmas and Mothers' Day to anniversaries, weddings and house warmings! These curated gift sets also make stellar corporate gifts. Whether your business is big or small, we've got a gift set that's just right.